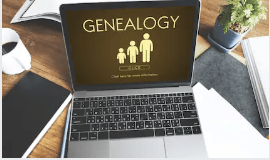 Whether you’re a novice or a seasoned participant at family history events, attending THE Genealogy Show will be a whole new experience for everyone involved. There will be plenty of talks to keep you busy, a myriad of exhibitor stands to purchase lots of goodies from, and of course, lots of participants to get those networking skills going. But we at THE Genealogy Show have decided to give the term networking a new meaning, and will be offering participants a unique opportunity to tackle those famous brick walls we’re always lovingly moaning about. How? Very simple! 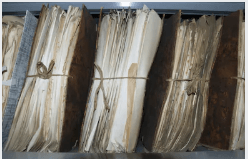 At THE Genealogy Show, anyone with a ‘brick wall’ case will be allowed to write down their genealogical conundrums and contact details on a sheet of paper, which they will then pin on a board for this particular purpose. Over the two days during which THE Show will be taking place, any passer-by who is specialised in the same research area, or who simply wants to take up a new genealogical challenge, can take the sheet(s) of paper back home and try to work out the other participant’s family mystery, contact them, and hopefully establish a lifelong genealogical bond – thus taking networking at THE Genealogy Show to a whole new level beyond the walls of the NEC. Although there are still 50 days to go, it’s never too late to start preparing for THE Show, and putting down those blessed brick walls to paper is definitely something we all need to start doing over the coming weeks. 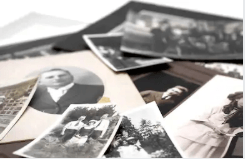 Don’t miss out on this perfect opportunity to crack your own family mysteries and to put the thinking cap to try and help your fellow genealogists!